Agreements are important documents that are used to proof that the existence of a certain transaction has been agreed on by the parties who participated to join in the agreement. Agreements are used in awfully a lot of things, whether it be in business or in taking care of personal matters. 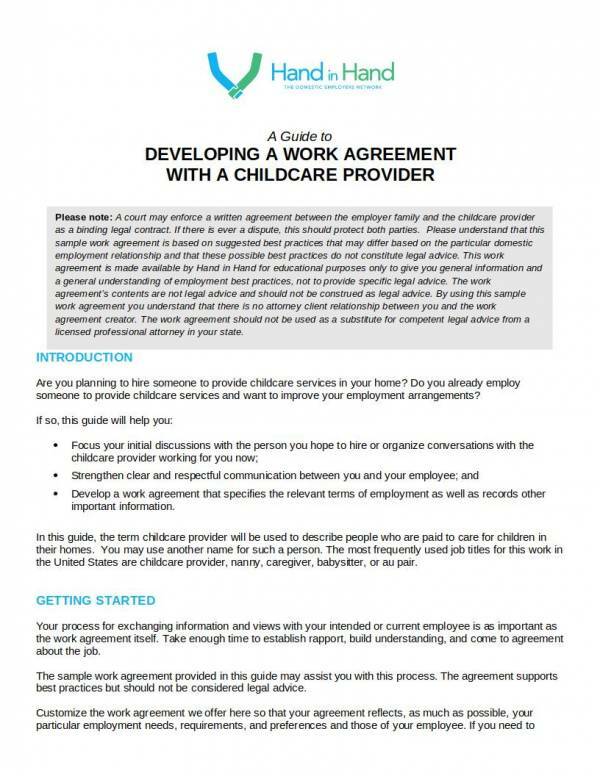 Child care services agreement is one of the many types of agreements being used today. 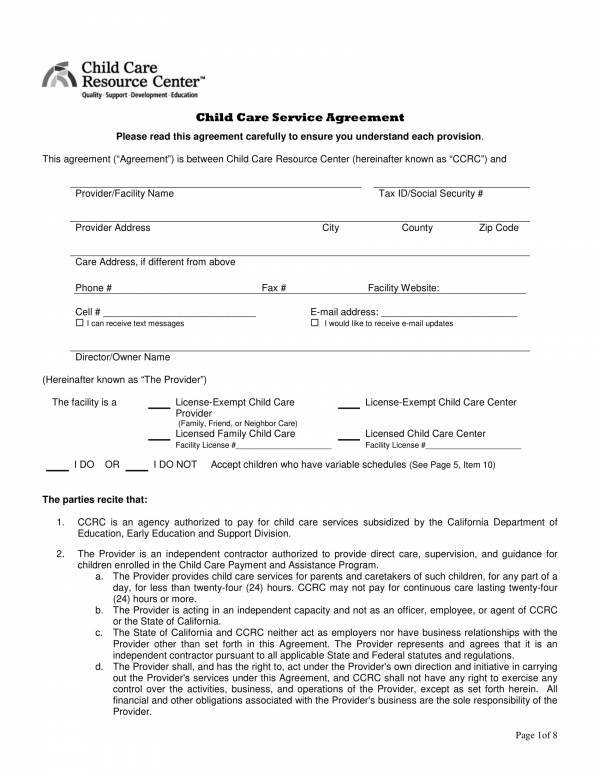 Since it is a specific agreement, it cannot be used on other transactions aside from child care services. 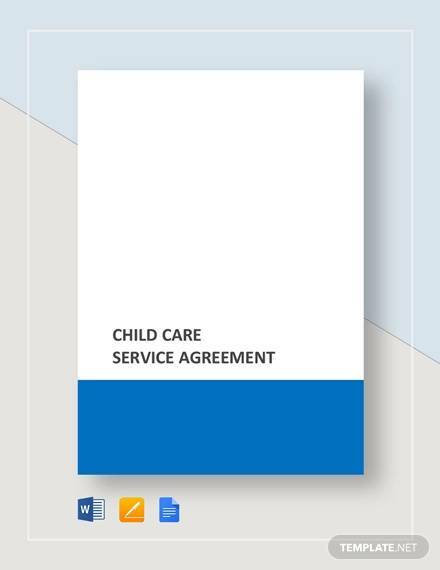 Here, we will be learning about what a child care services agreement is, when is it used, what does an agreement include, reasons why you should be using agreement template and other related topics. 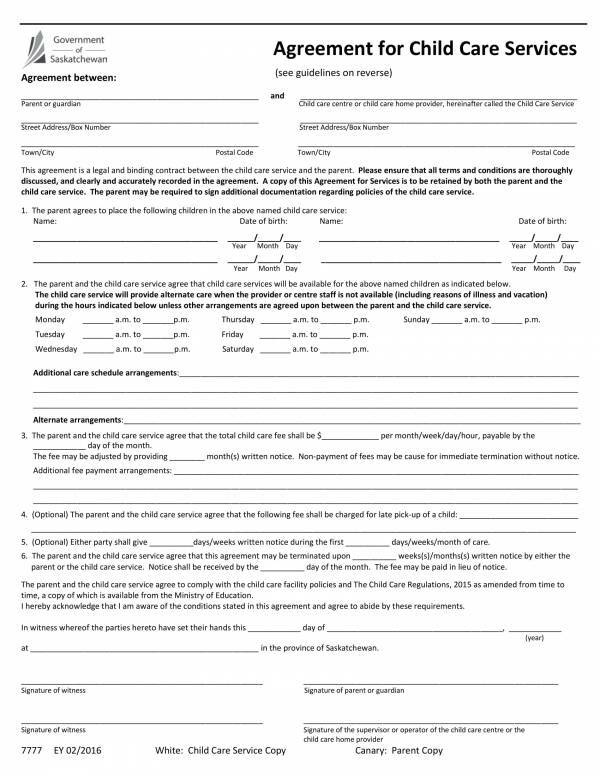 You may also use the sample agreement templates that we have provided below. 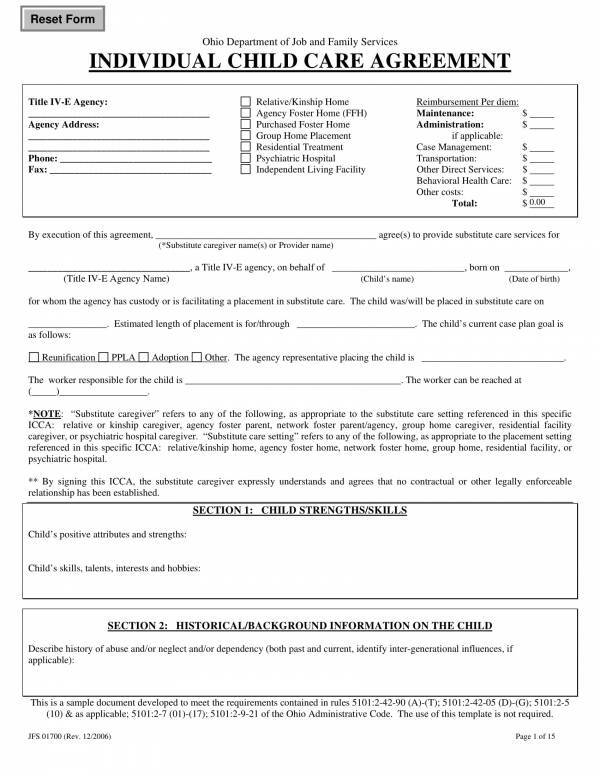 What Is a Child Care Service Agreement? A child care, also known as a daycare, is a business that offers services specifically dedicated to taking care of or looking after children ages six weeks up to thirteen years of age. Child care may take in one child or multiple children at a time depending on the capacity of their facility and the number of available care providers. Taking care or looking after children is a serious responsibility, especially when it comes to taking care of other people’s children. The task may be too risky to handle as different parents have their own preferences when it comes to taking care and dealing with their children. Child care services take care of children while their parents are away for work. A lot of working parents find it convenient to find some place to bring their children while they are working without worrying that something bad might happen to them. 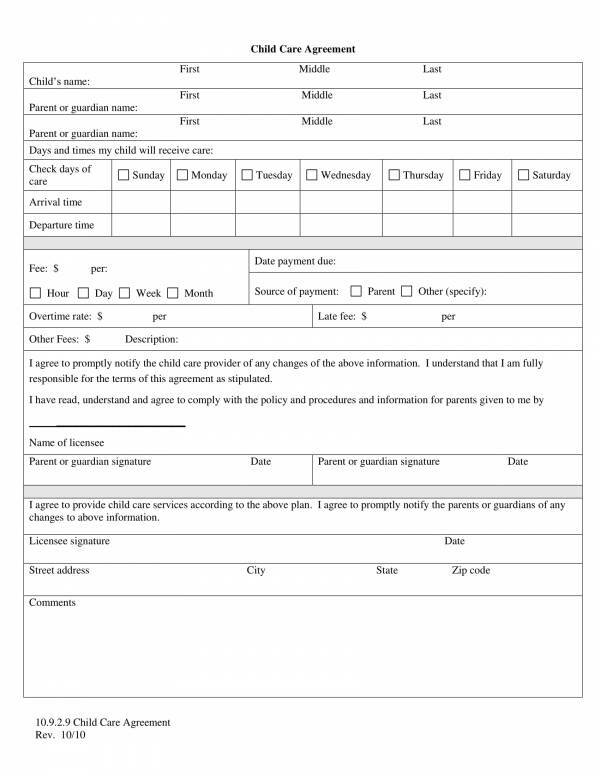 Parent’s must enroll their child or children to a child care service facility and sign a child care services agreement. What is the agreement for? The agreement details the specific terms and conditions for enrollment in the facility, what each party can expect from each other, certain rules and regulations to follow, and etc. The agreement is legally binding once the names of both parties are entered into the agreement. 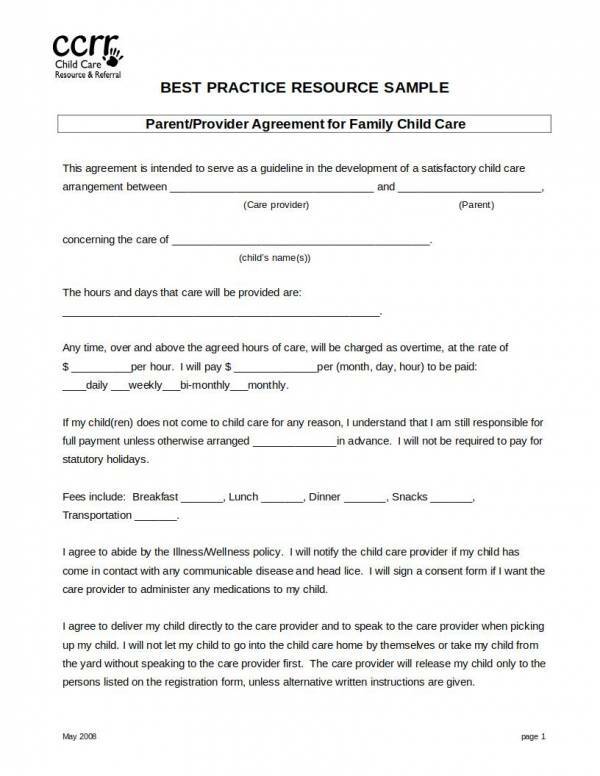 The signatures affixed on the agreement serve as consent given by both parties to each other in the care of the child. It is important that consent from the parents is acquired before the child is actually taken in the facility. This is to avoid being falsely accused of kidnapping by any members of the child’s family. You may also check out other related articles, like Exchange of Shares Agreement Template, Marketing Services Agreement Template, and Agreement of Transfer Template. Before getting involved into any type of agreement, it is a must that you know of the things that are being included in it. Knowing what it is essential or important in an agreement prevents you from getting involved into a troublesome or fraudulent transaction. So what does a agreement include? Check them out in the list provided below. 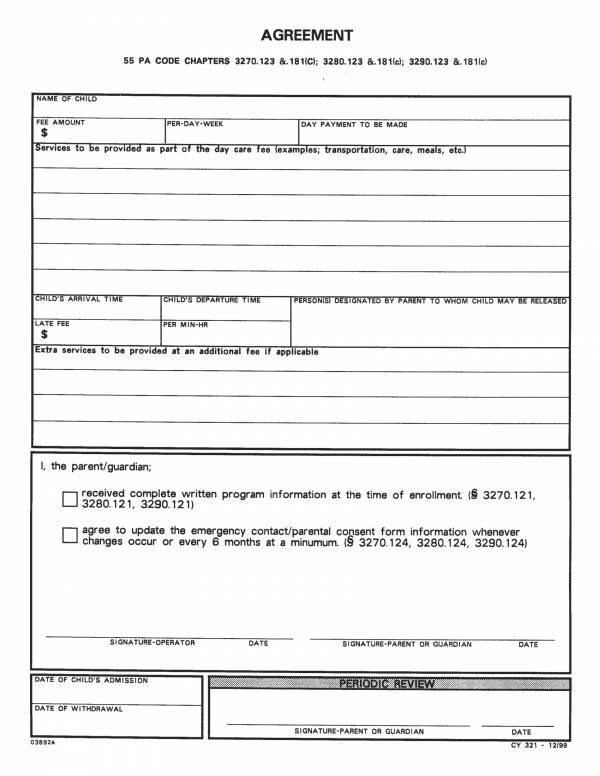 Heading/Title – Formal documents must have a heading or title on the top most part of the first page. This is so that it can easily be identified as an agreement and not get mixed up in a pile of other documents. The heading helps the reader identify the document at first glance. Parties – The complete names of the parties involved in the agreement must be written. 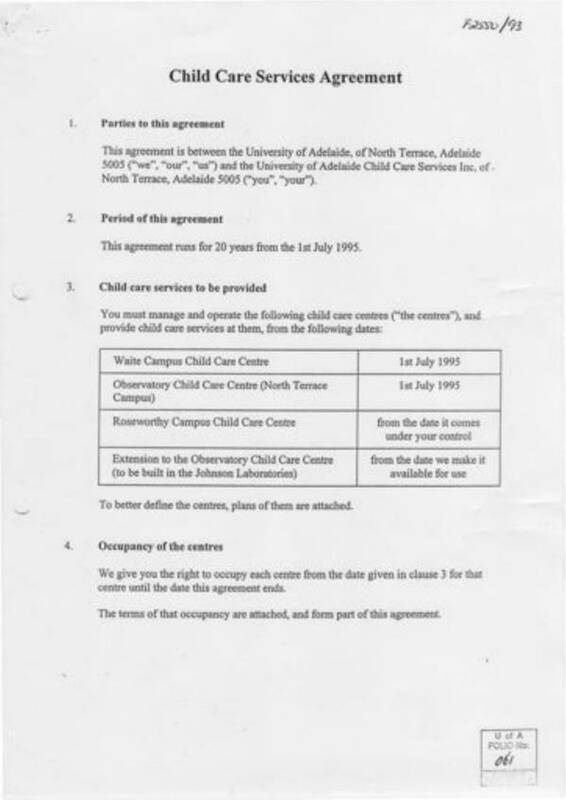 In a child care services agreement, the names of the parents and the child care facility must be provided. Date – The actual start date and end date of the agreement must be specified in the agreement. 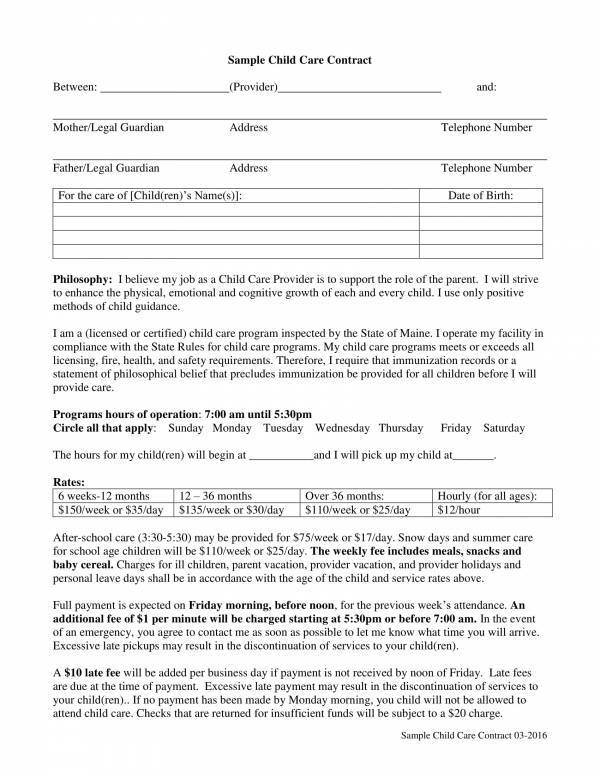 Schedule of child care services, length or duration of child’s stay, business office hours, etc. must also be provided. Address – Both parties are required to provide their complete personal and business addresses in the agreement. This allows both party’s to locate each other easily in case of any emergencies. 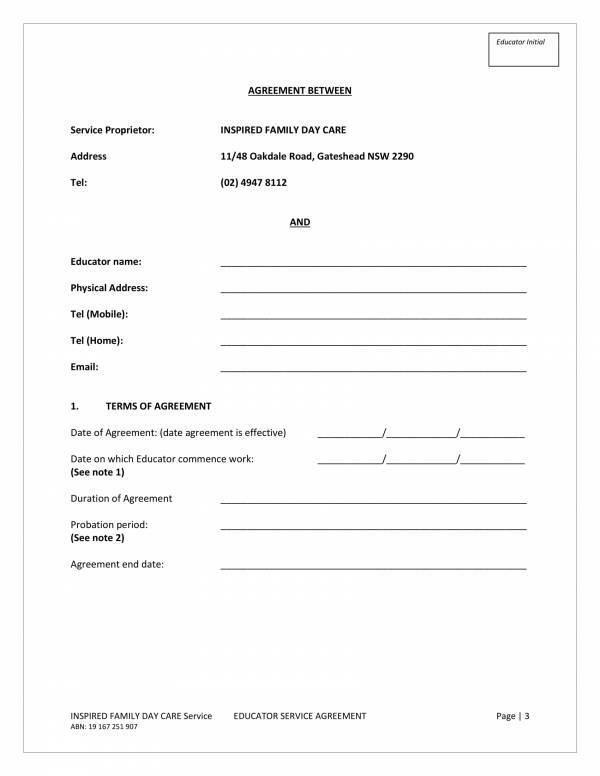 Contact details – Telephone number, fax number, cell phone number and email address are the contact details that must be collected and documented in the agreement. 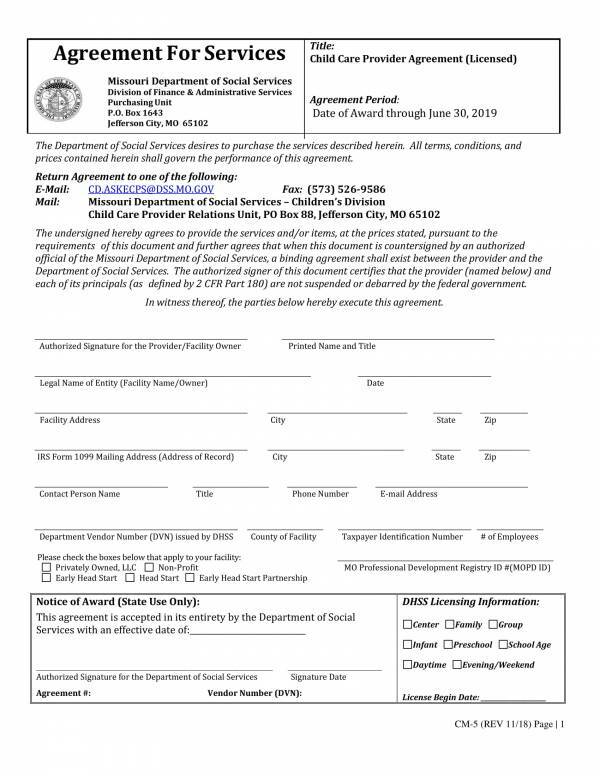 Getting in touch with the child care facility and the parent is made easier with the availability of this information on the agreement. Responsibilities – Different parties have their own set of responsibilities to perform and pay attention to while under the agreement. These responsibilities are listed separately for each party. This clears out confusion about who should do such task or responsibility under the agreement. Limitations – There are certain things, behaviors or activities that may not be allowed within an agreement and this must be made clear for both parties. Limitations must be clearly defined in the agreement to avoid any violations and breaches from taking place. Rates and Payment – Child care services is a business and does not offer services for free, unless they are managed by non profit organizations and the likes. A separate section for the rates of each of the services provided, payment amount, payment mode, payment frequency, etc. must be provided in the agreement. Termination – Conditions for early termination should also be specified so that both parties will know what to do in case one party needs to terminate the agreement before its actual end date. Clauses – Only applicable clauses should be included n the agreement so as not to make things too complicated for both parties. Including clauses that are not applicable for the given transaction may just complicate and may open a can of worms. Other Provisions – Different child care facilities have their own set of preferences and processes that they want included in their agreements that is why other provisions vary from one child care facility to another. Signature – A space provided for at the end page of the agreement is dedicated for the parties signatures. Both parties affix their signatures in the designated area along with their complete name as indication that they have read, understood and agree to all of the provisions of the agreement. There is actually no need for you to memorize the entire list provided above. You just need to be familiar of those things so as not become or end up an ignorant when faced with an agreement. Different agreements have a lot of similarities or things in common and checking out different agreement templates will help you easily get familiar with agreements and its parts. Some of the titles you may find interesting are Business Investment Agreement Template, Relationship Agreement Template, and Advertising and Marketing Agreement Template. What Should You Do Before Signing An Agreement? A common mistake that a lot of people are guilty doing is that they hastily sign when presented wit one. Our reaction toward an agreement almost seems like a reflex and something that we give much thought on. This should not be the case regardless of what type of agreement. Here are some of the things that you need to do before deciding to get your signature on that agreement. Don’t be in a hurry. When faced with an agreement, you should give yourself enough time to think about it. As the saying goes, ‘haste makes waste.’ Bad decisions are made when you are in a hurry or pressured to make one. Stop and think about what you are getting yourself into, and then start reading the agreement presented to you. This way you will have a clear mind that will help you make good decisions. Read and understand. It is always a must to read everything in an agreement no matter how lengthy or how short it is. Always make it habit to read any agreements you are planning to get involved in as this is one way for you to gain understanding of what it actually. Signing an agreement that you have not read and understood may get you liable for things you don’t know about. You just can’t blame anyone for your mistake, can you? Do your homework. Need more information? Then do your homework. Do a research about the other party on the internet and on their website. Check customer the feedback and the ratings given to the other party for their business. Check facts, complaints and just about anything you want to know. This will mostly answer your questions about the other party. Conduct an inspection. It is essential to conduct your own inspection on the child care facility you wish to enroll your child in. Seeing the actual condition of the facility will help you make a sound decision on selecting the child care facility to enroll your child. The same is true with other types of businesses. Seeing with your own eyes how everything looks and hoe things are done gives you important data for making decisions. Ask questions. If there is something you need to know, ask questions right then and there. Asking questions is free and it won’t hurt you a bit. Plus, you get the answers that you night first hand and you get them right away. Trust your instinct. If you really having a hard time deciding, then you might as well trust your instinct. It doesn’t mean that our instincts are right all the time, but they are right most of the time. You just get this sudden feeling about something. Of course, this should not be the first thing you should do. Consider other logical things and take your instincts as your last option. If you remember these things then you can feel assured that you made the best decision you possibly can for the given situation. Also check out different agreement templates on our website, like Non-Disclosure and Non-Compete Agreement Template, Free Lease Agreement Templates, and Separation Agreement Templates. Making a good agreement take time, passion, dedication, commitment, experience and a lot of research. Well, if you are short of time and really can’t afford to spend weeks or even days making an agreement, then you will need the help of some expert tips. These tips can help you with making your agreements better in just a short period of time. Make clear statements. If you want to make your agreement better, then start with creating statements or sentences that clearly conveys to your readers exactly what you want them to know and understand. This is a basic tip that never gets outdated. Even professionals who are already good at writing agreements still keep in mind this simple tip, which allows them to create excellent agreement documents. Clear statements only provide one interpretation which makes a good agreement. Your content should be coherent. An agreement is made up of a lot of words that make up sentences, and sentences that make up paragraphs. Every topic in an agreement is explained in detail in different paragraphs, which is the right thing to do. However, the transition from one paragraph to the next paragraph should not be done abruptly. There should still be a relation between the first paragraph and the next one. This ensures that your readers will be able to follow you on what you are trying to tell them. Also, this allows you to keep the contents of your agreement coherent. Coherent content is easy to read and understand. Don’t confuse your reader. The meeting of the minds, which is an element of a valid agreement, is only made possible if the parties clearly understand each other. That is how they reach an agreement. You can’t risk being misunderstood as this will cause your agreement to fall apart or not exist at all. To avoid confusing your readers, make sure to use clear and concise words. Avoid using vague sentences because it can be interpreted differently by your readers. Use simple words. There are a lot of technical terms included in an agreement and changing them to simple words may change the entire document. What you can do is provide a page that is dedicated for the definition of those technical terms. This is so that your readers will be able to understand them the way you want them to understand those terms. Since you can’t easily replace technical terms, you can still use simple words on other parts of the document. Keep it short and simple. Agreements don’t always have to be lengthy. You can actually write a one-page agreement and it is still a legally binding agreement. Lengthy agreements takes a lot of time to write and takes a lot of time to read as well. Agreements are really not that interesting to read, but keeping it short and simple would make your readers finish reading the entire document. Proofread. Reliable and professionally made agreements are free from all forms of errors, including spelling errors and grammar errors. You can avoid these errors by reviewing and proofreading your work. So simple, yet so effective. Follow statutory requirements. There are specific requirements that must be complied in order for an agreement to be considered valid. These requirements vary depending on the type of agreement. If the law requires an agreement to be written, signed and witnessed, then that must be done. Use agreement templates. The easiest and most convenient way of making an agreement is with the use of agreement templates. 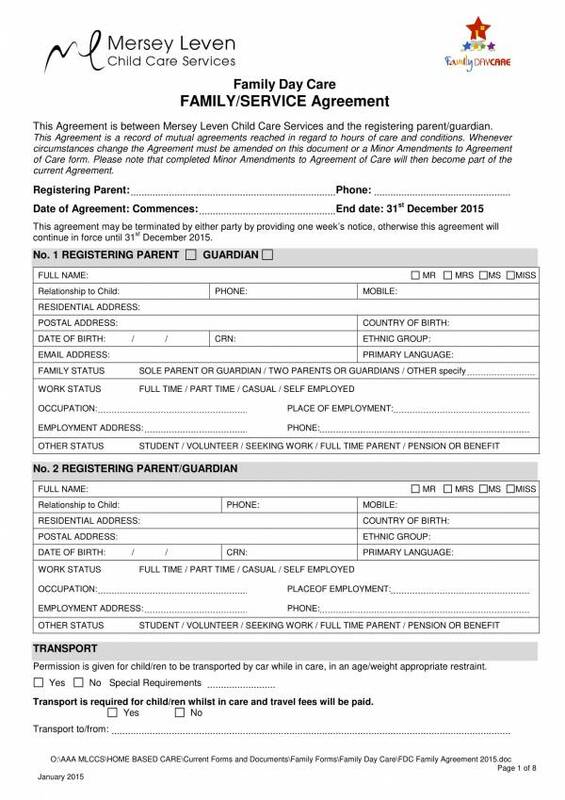 The templates can also be used as reference or guide for making your own agreement. Most businesses or firms have their own agreement templates ready for use anytime they need to. Who says only professionals can make things better? If you use the tips provided above, you will surely see improvements with your work making it better than you can ever imagine. In time, you will learn a lot of things about agreements and even have your own tips to tell. An what better way to practice than with the use of agreement templates. You can find titles, like Outsourcing Services Agreement Templates, Dealership Agreement Templates, and Service Agreement Templates and Samples on our website that you can download and use as your own. Why Should You Use an Agreement Template? Why do people use agreement templates? Agreement templates offer a lot of advantages to its user that is why many people use templates to help them with their tasks. Here are some of the advantages of using agreement templates. Easy and convenient to use – Agreement templates are ready-made templates that make the task easy and convenient for you to do because everything that you need is already in the template. Adding the required information is all that is left for you to do. It’s just like filling in the blanks in an exam. Now, if you don’t find that easy, then you probably have not used a template before. Available online – It is pretty easy to find agreement templates because they are available online in different types and different file types. This way you will never have a hard time finding exactly what you want and need. Affordable – Even if you are on a budget, downloading agreement templates will not cost you a fortune. Most websites even provide them for free. This means that everyone can have access to the agreement at no cost. Found an agreement template that is for sale? 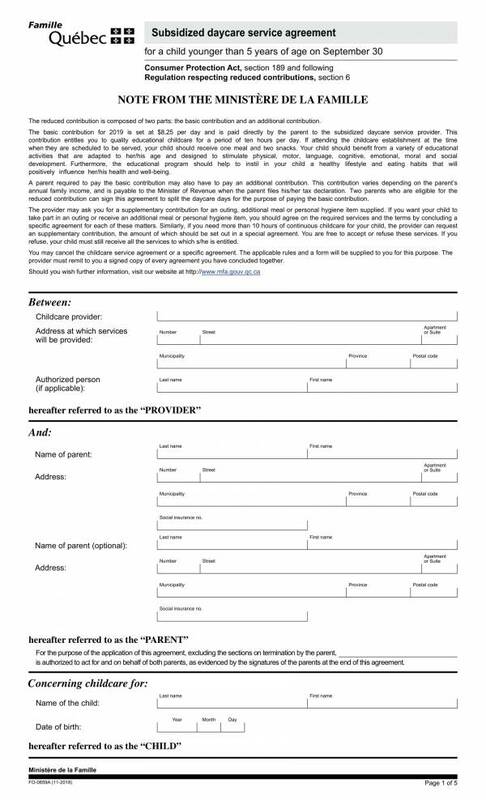 Editable and printable – You can also customize agreement templates and turn them into your own personal documents. Editing and even printing agreement templates is possible. You can change or remove whatever part of it that does not fit and turn it exactly into the agreement template that is appropriate for your needs. Time saver – How does an agreement template help you save time? Well, if you don’t make the same agreement document every time you need one, then you will surely be able to save tons of time. Just imagine how much time is needed to create an entire agreement document and compare that to the time you need to open, edit and print an agreement template. That’s a really big time difference if you ask me. Professionally made – Really, why templates? How can you be sure that these free templates are reliable? You probably have not known yet, but agreement templates are made by professionals who want to share their knowledge and expertise to hose who need them. Now, if you don’t trust templates, then you don’t trust the professionals who made them. So if you need help with any of your tasks, you now what tool to use to help you get them done easily and conveniently. Why would you miss the chance to have more available time to do other things? If you find this article helpful, then you might just be interested on other articles we offer on our website. Some of the titles that you can find there are Investment Agreements Samples & Templates, Indemnity Agreement Samples and Templates, and Terms of Service Agreement Samples & Templates.